If you’ve done any document work digitally, you inevitably came across Portable Document Format (PDF) files. One of the most universal and popular file formats today allows users to safely store their documentation on local drives and share it online without the fear of incompatibility. However, users often point out the PDF’s uneditablenature as its main disadvantage. Sometimes it just seems that they’re made for viewing and not much else. But the truth is that with the right tools you can have PDFs eating out of the palm of your hand, figuratively speaking. 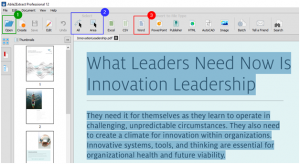 Did you ever wonder how PDFs can be converted to Word for easy editing? If you did, you came to the right place. 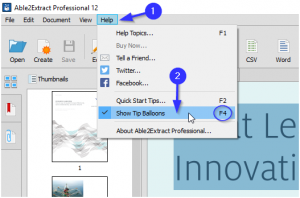 We’re going to present Able2Extract Professional 12 to you, an all-in-one PDF tool that can convert PDF to Word accurately in just 3 easy steps. 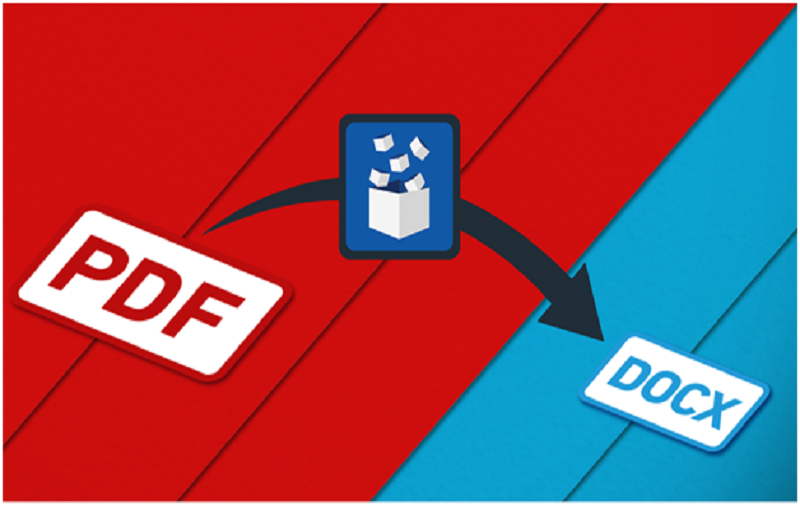 You’ve probably encountered the PDF to Word conversion dilemma before. If so, then you’re aware of numerous free online tools for converting documents. But if you don’t want to upload files online and compromise your privacy or if you’re tired of below-par conversion output results that usually come with online converters, just follow our how-to guide to achieve great PDF to Word results fast from the safety of your own computer. Installing Able2Extract is as easy and straightforward as it gets and you can use it for all of your PDF work, whether your computer is running on Windows, Mac, or Linux. Step 1 – Open the file you’d like to convert to Word by either dragging and dropping it on the Able2Extract icon or by clicking on the big Open icon in the Command toolbar and browsing for it upon starting the program. Step 2 – You can convert the whole PDF to Word or just a part of it. To convert a section of the document, click on the Area icon in the Command toolbar and select the desired area. Clicking on the All icon next to it will automatically select the whole document for conversion. Step 3 – Click on the Word icon in the Command toolbar, select the location, and type in the file name for your converted file. To convert multiple PDFs to Word at once, click on the Batch icon in the Command toolbar. In the Batch conversion window, upload whole folders of documents, select Word from the drop-down list and batch convert your files in seconds. Easy, right? It’s also worth mentioning that Able2Extract has Tip Balloons that will guide you through the whole conversion process. To disable them once you get familiar with the workflow, go to View and uncheck Show Tip Balloons or press F4 on your keyboard. So, if you want your PDF to Word conversions to be quick and accurate while keeping your privacy uncompromised, go to the developer’s website, download, and try Able2Extract for free.